So far this year, that message has not gotten through. 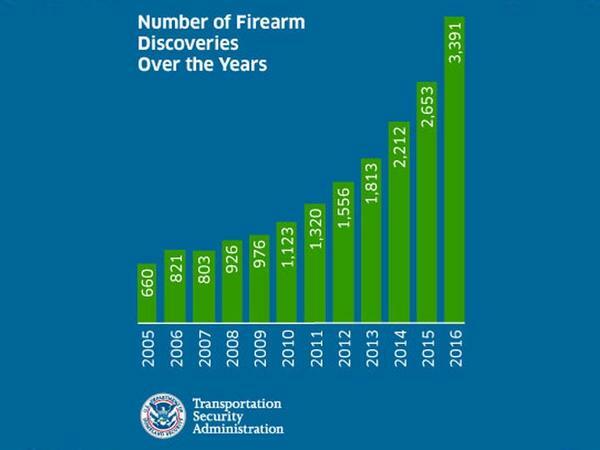 More people are being caught with guns at airport checkpoints and the consequence can be costly. The 440 firearms found at airport checkpoints in Florida so far this year has already surpassed the 411 that were found all of last year. 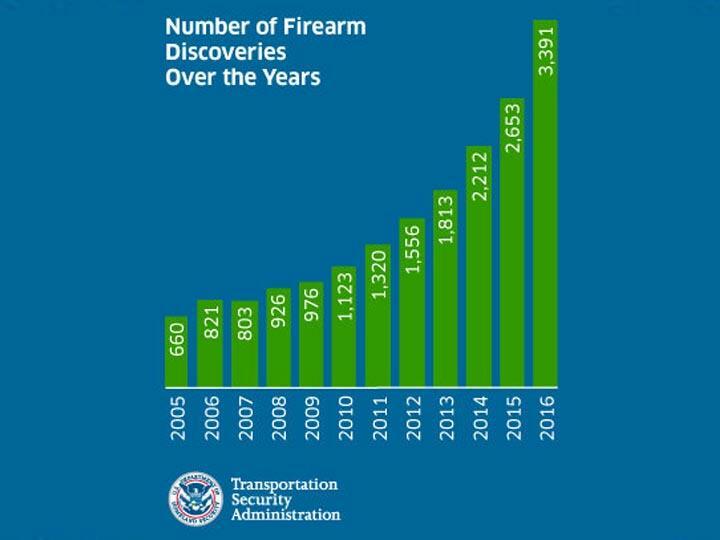 Since 2013, the number of guns found by the Transportation Security Administration in the state has increased by 93 percent. Tampa travelers lead the state with 86 weapons found, followed by travelers in Orlando (81) and Fort Lauderdale (62). The state increase matches what’s happening in airports around the country, said TSA spokesman Mark Howell. 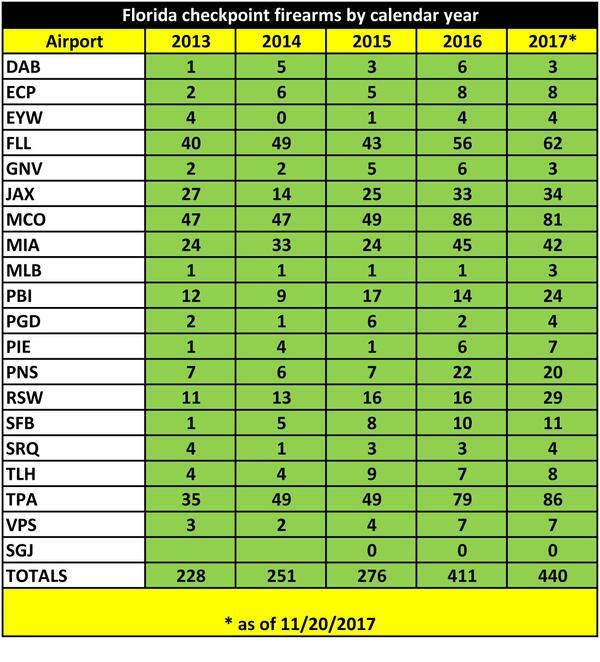 So far this year, 3,733 guns have been found by TSA officers at checkpoints nationwide, compared to 3,391 all of last year. “More guns, plus more people traveling, equals more people with guns at airports,” Howell said. More people are also using carry-on luggage to avoid baggage fees. 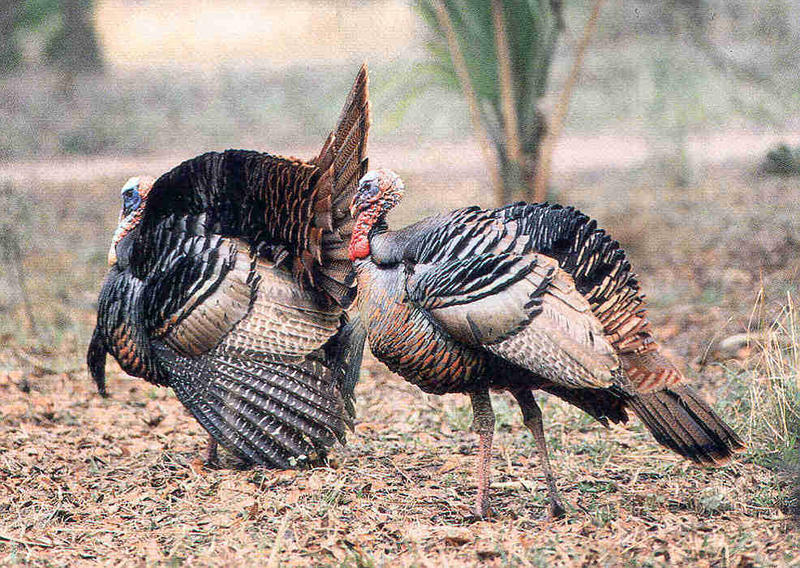 It is not illegal to travel with firearms, as long as they are packed correctly in checked luggage, Howell said. “So what we're trying to do is educate passengers on the right way to travel with firearms and bringing them to the checkpoint is the absolute wrong way to do it,” he said. The TSA’s website has detailed instructions for how to travel with firearms. Most people caught with guns in their carry-on bags just forgot they were there, Howell said. “The biggest thing that we can ask passengers to do is before coming to the airport, do a sweep of your personal belongings, your bags and your property, and make sure that you don’t have any firearms in there,” he said. Those caught with firearms at checkpoints could face criminal charges from local law enforcement as well as a civil penalty from the TSA that can be up to $11,000 for a first offense. The weapons also cause delays at security checkpoints because local law enforcement must respond to remove them. 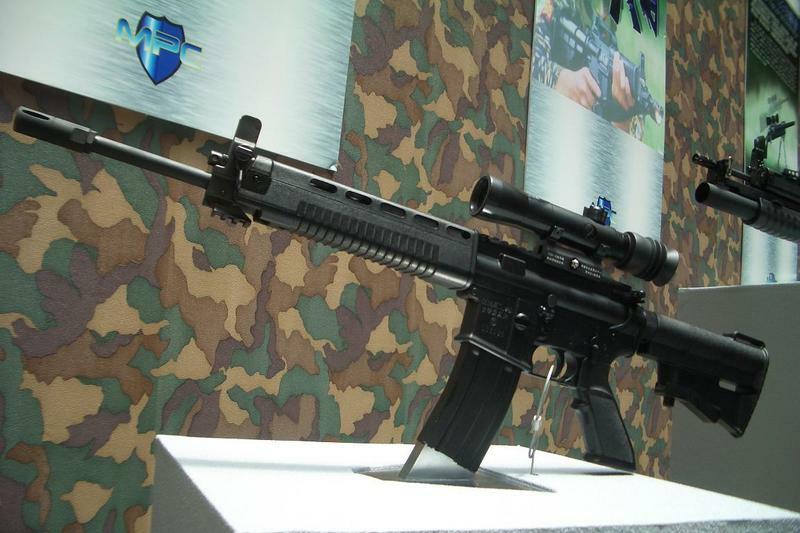 “Any time we have a firearm or any other prohibited item, it's going to slow down the processing time for people going through the checkpoint,” Howell said.